It has been seven months since I last posted anything on this barely read blog, my reasons are my own and I don’t want to get into a pity party. So I won’t. What has got me back in the game? The passing of Stan “The Man” Lee at 95. It is no secret that I have been highly critical of Stan being labelled as the creator of the Marvel Universe because he wasn’t. He was a Founding Father, he was the number one spokesperson for Marvel and an unapologetic pitchman for superhero comics in particular. 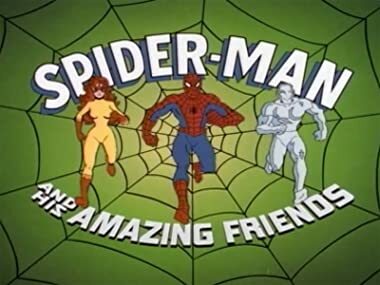 My first real memory of Stan was as the voice on Spider-Man and His Amazing Friends on Saturday morning cartoons. It is no secret that his uncle (by marriage) was Martin Goodman, the publisher of then Timely Comics that became Marvel Comics. Not a little bit of nepotism there but that was not uncommon for the time period. Stan had the unfortunate job of keeping the Marvel ship floating during a period when everyone but him were fired. He also had the task of being the guy who did the firing and the re-hiring of these people as freelancers. No one gets paid enough to do that, but Stan made out alright at the end. I firmly believe that Stan was the creator of much of the hero behind the super. The angst that Peter Parker felt because his life was a shambles because he was Spider-Man but he couldn’t stop being Spidey because of the angst that he felt as Peter Parker? That was Stan. The awesome power of the X-Men’s mutations making them outcasts of the society that they helped? That was Stan. The tortured soul of Ben Grimm who was cursed as The Thing but because he was The Thing he could help people? That was Stan. A lot of the Cosmic Stuff was Kirby, the Super Science was Kirby, the Strange and Creepy Powers stuff was Ditko, the Super Cool was Don Heck but what made all of that work was the character and dialogue, I believe, that Stan infused all of that stuff into the characters and stories. My daughter openly wept at the end of Avengers: Infinity War and that wouldn’t have had the emotional punch if we didn’t care care about Peter Parker as much as we do. ← Hey Kids!! Comics: Have you ever danced with The Devil in the pale moonlight?